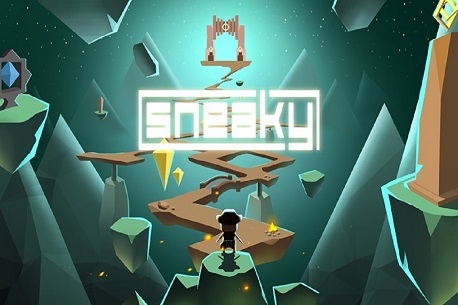 Intro: Sneaky is a bird’s eye perspective VR maze game. In the game you have to be careful to avoid the evil forces on the island killing you, and at the same time try to break through the barriers and rescue your imprisoned companions. The vigilant enemies are in your way, but taking use of the terrain and various powerful items, every problem will be solved. To explore the desert islands! Verdict: While there is something ‘retro’ about Sneaky and it’s not just in the graphics. Its a game that reminds me an awful lot of Hitman Go, you need to sneak around a level and not be seen by any guards. There are also some things that do help you like oranges for invisibility and beef steaks for invincibility! Sure, it’s a crazy game, but it’s also a little bit of fun, esspecialy sneaking around, I found myself holding my breath so they wouldn’t hear me several times! There are also sub-missions to complete if you want all 3 stars on each level.While I would like to think it is my own skills at this type of game that made the game feel so easy I feel it is just pretty easy anyway (once you get the hang of it anyway). For a couple of quid I am willing to say its worth a download, but if you are good at this type of game it won’t last long at all, even if you plan to collect 3 stars on all levels. More levels would have been better, but its good enough to consider buying as it is.